August at our library is our break from most programming, including storytime. We need to recover from summer reading and get our collection presentable again. So since I won't have any new storytimes over the next couple weeks, I thought I'd just take the chance to share a list of my favorite past storytimes. If you're looking for some ideas or whatnot, try these on for size. High-flying action? Check. My first ever solo-designed and created felt story? Check. Kids yelling "HIYAH!"? Check. 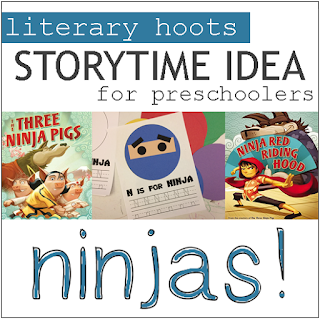 Let's face it, ninjas are just that cool and this is a great storytime for having some fun. 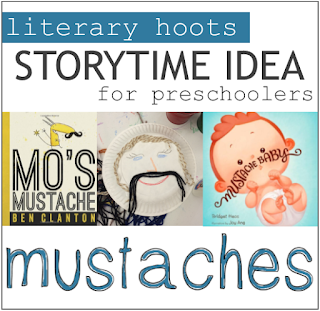 Okay, there's a good chance I liked this storytime more than the kids did. Although they did laugh and laugh at Mr. Lou's mustache. Another storytime that's just a lot of fun. 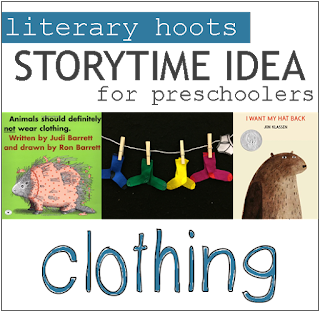 This was one that was surprisingly super successful, both in the library and here on the blog--it's one of my top posts. 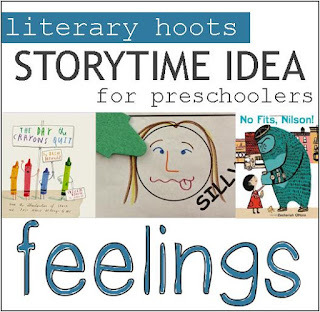 It's perfect for preschoolers who are just learning about more and more emotions and how to regulate them. 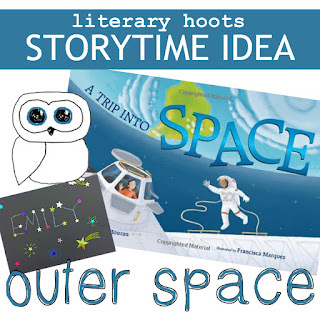 Reaching a bit further back in the archives was an all-around great storytime about space. It had educational aspects, interactive aspects, and a really fun--yet simple--craft. Not only did I get to read my favorite books (I Want My Hat Back) but the kids really enjoyed matching socks and tying shoes. Preschoolers are experts on clothing, it would seem.